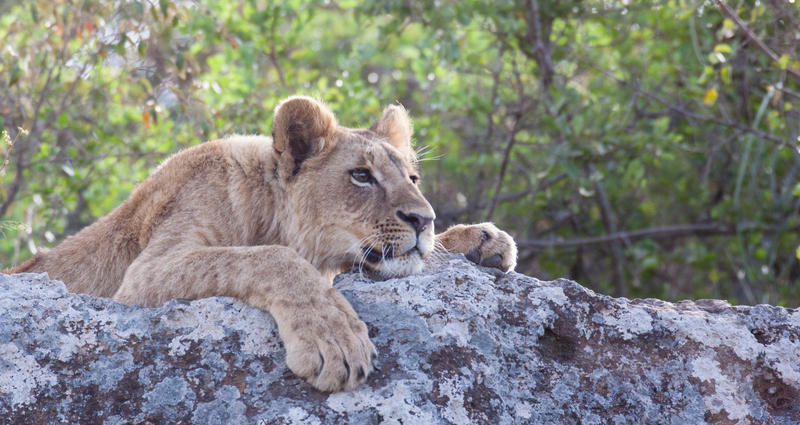 If spotting the Big Five has long been on your wish list, the Fairmont Classic Bush Safari adventure will bring you one step closer. 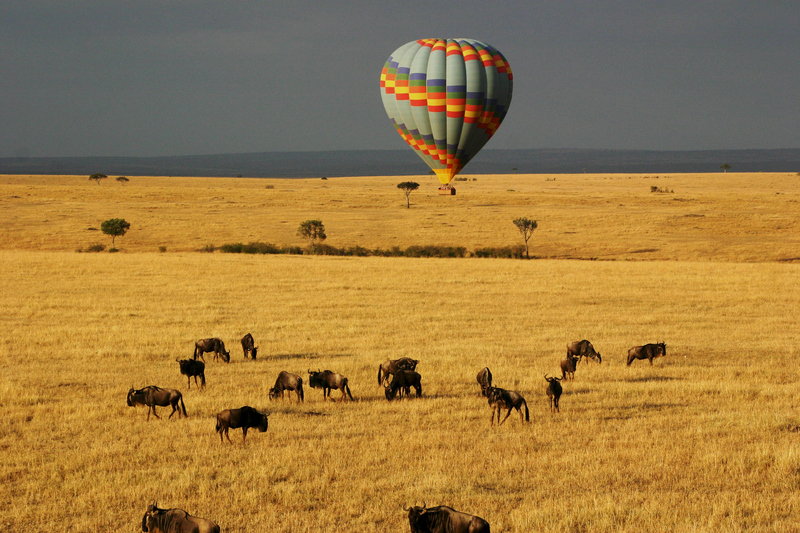 Combining one-of-a-kind luxury Kenyan lodges with phenomenal wildlife experiences, this seven-night adventure encompasses the best of Kenya's culture and nature, from museums in buzzing Nairobi to orphaned animals on Mount Kenya and an unforgettable hot-air balloon safari across the Maasai Mara Game Reserve. Kenya’s vibrant capital is your safari starting point. A luxurious city retreat since opening in 1904, Fairmont The Norfolk is a sophisticated spot amid tranquil, tropical gardens. This elegant city oasis has long been a high-society rendezvous. After a delicious buffet breakfast on the Lord Delamere Terrace, where chefs whip up creative concoctions at live cooking stations, there’s a chance to explore. 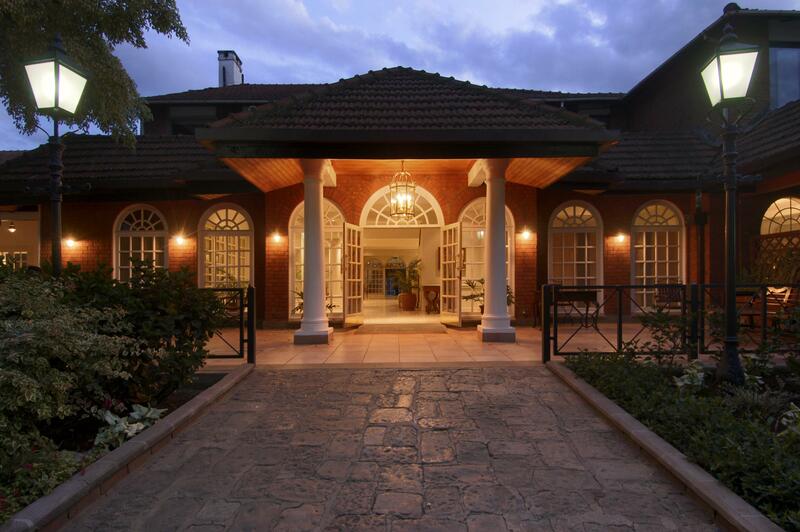 An optional excursion includes a trip to the Karen Blixen Museum, an early-20th-century farmhouse made famous by the movie “Out of Africa,” which was based on the autobiography of the farm’s Danish owner. Alternatively, you can discover a treasure trove of cultural artifacts and contemporary art at Nairobi National Museum. For your first glimpse of Kenya’s magnificent wildlife, head to the Giraffe Centre, where conservation efforts focus on breeding the endangered Rothschild giraffe. Or learn about the world-renowned Orphans’ Project at the David Sheldrick Wildlife Trust, where you can meet adorable, hand-reared infant elephants and rhinos that will eventually be released back into the wild. You might ease into your new time zone by settling into a graceful armchair with traditional high tea or bedtime chocolate and digestives in the “T” Lounge. Be sure to make a point to dine at the hotel's stylish, contemporary steakhouse, Tatu, one of Nairobi’s finest eateries. 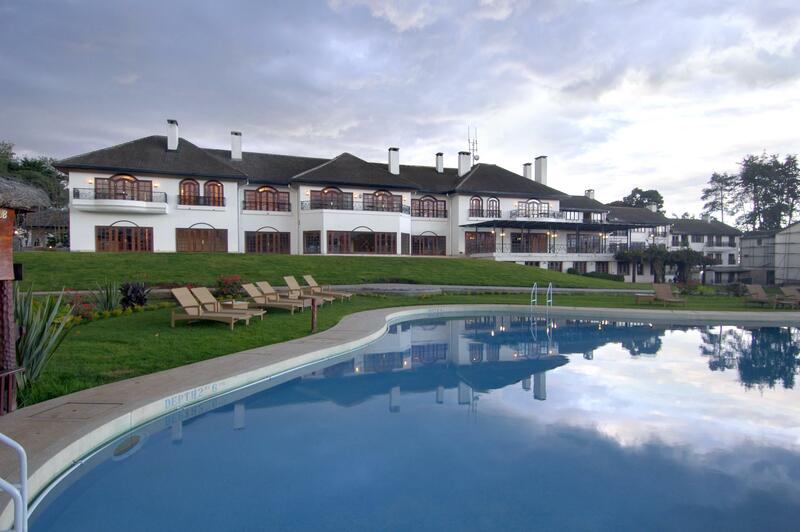 A short flight whisks you to the prestigious Fairmont Mount Kenya Safari Club, a celebrity haven since movie star William Holden founded his exclusive club here in 1959. Set among sprawling landscaped gardens, this secluded spot on the slopes of Africa’s second-highest mountain has played host to such luminaries as Sir Winston Churchill and Bing Crosby. Enjoy spectacular mountain views and experience the buzz of driving a ball across the equator on the hotel’s manicured nine-hole golf course. 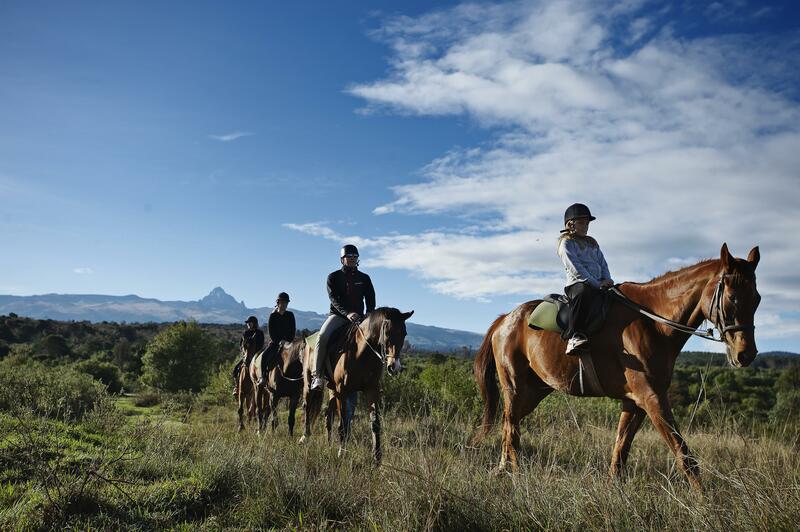 Following a lunch of locally farmed specialties at Tusks restaurant, which also offers fabulous views of Mount Kenya's dramatic peak, you can arrange optional activities such as game viewing on horseback. Or how about simply taking in the scenery with a chilled, handcrafted cocktail by the pool? After dark, savour fine cuisine and the atmospheric sounds of the wild with an unforgettable evening of riverside bush dining. Back at the hotel, share memories of the day over a nightcap beside a roaring fire. You may be lucky enough to spot the Big Five from above as you fly across the Great Rift Valley to the wildlife-rich Masai Mara Game Reserve. 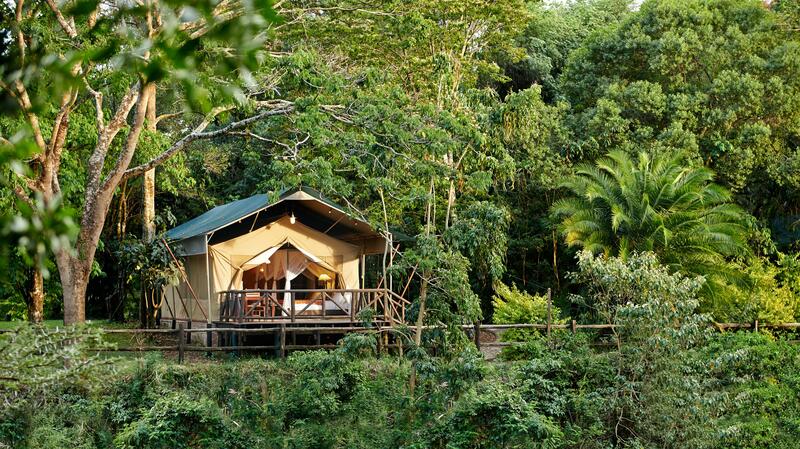 Your three-night base at the Fairmont Mara Safari Club is no ordinary camp. Luxurious tents come with super-comfortable four-poster beds and private bathrooms, plus decks for spying wallowing hippos and crocodiles in the meandering Mara River. Thrilling morning and afternoon game drives led by expert naturalists will bring you up close to the reserve’s diverse inhabitants. 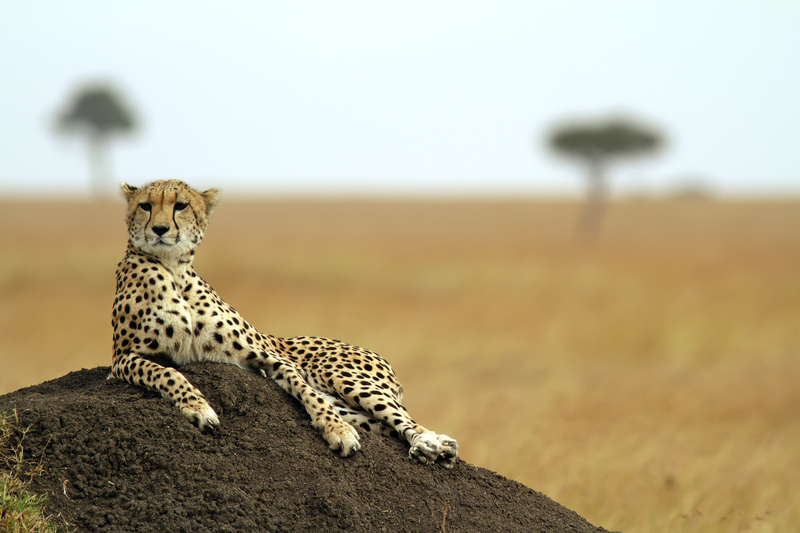 As well as having another terrific chance to check off the Big Five (buffalo, leopard, elephant, lion and rhino), you might encounter sprinting cheetahs or herds of zebra on your way to a sundowner, otherwise known as happy hour. Look out too for side-striped jackals and graceful Thompson’s gazelles, along with hundreds of bird species. More than 1.5 million wildebeest migrate to the reserve between July and November, swarming in the thousands across the Mara River while crocodiles snap at their heels. The Fairmont Mara Safari Club also plays host to two of the remaining white rhinos in the world. These two majestic animals named Kofi Annan (an eight year of male) and Queen Elizabeth (an 11 year old female), live in on Aitong Hills olverlooking the breathtaking savannah grasslands of the Masai Mara. In an effort to secure the future of this endangered animal, the hotel, in partnership with the resident Masai community of Ol-Choro Oiroua Conservancy and the Kenya Wildlife Service, has created a safe haven in their natural habitat, making it possible for visitors to interact one-on-one with these magnificent creatures. 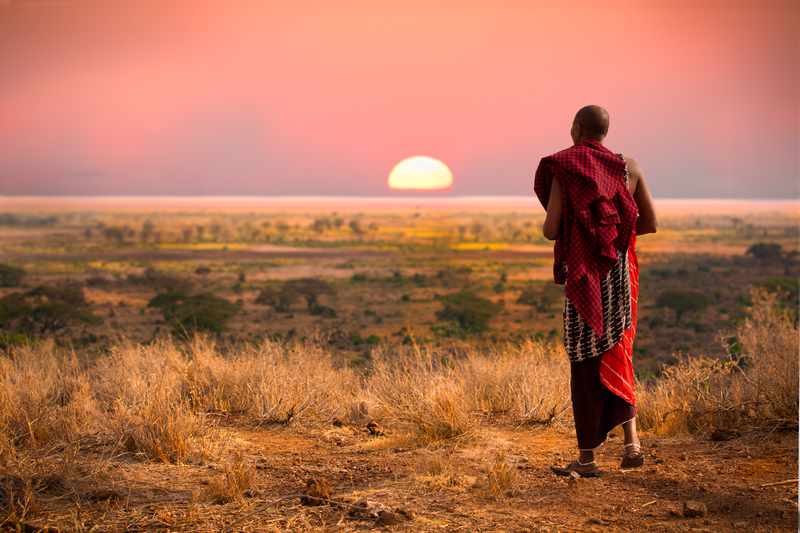 An optional tour to a local village introduces you to Masai culture. Chat about Masai traditions with the men, learn about the construction of mud huts and watch women craft colourful beaded jewellery. You can swap safari tales over Kenyan fare in the hotel's elegant wood-and-glass dining room. Sip cocktails and coffee by the cozy fire in the lounge, where woven wall hangings and local artifacts adorn the walls as you listen to lectures or watch a display of Masai dancing. Before you head home, enjoy lunch at Nairobi's celebrated Carnivore restaurant. Carvers at your table serve charcoaled meat, including such exotic choices as crocodile and ostrich, leaving you with a taste of Kenya you're unlikely to forget. 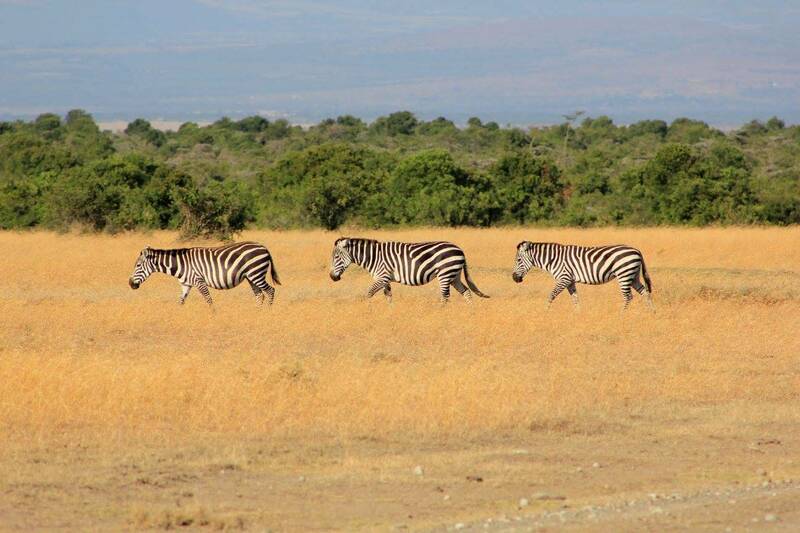 For more information on the Fairmont Classic Bush Safari, email kenya.reservations@fairmont.com.